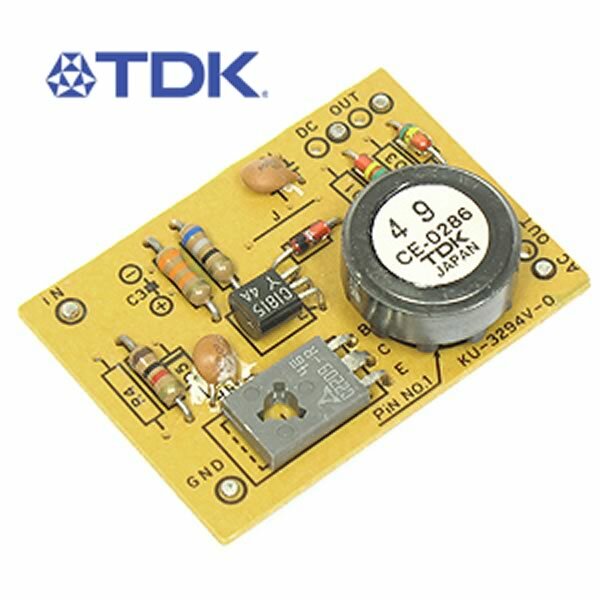 TDK circuit board type KU-3294V-0 was made to drive a Piezo element nebulizer. We don't have the hookup or specs on this board, however there is some info on the Internet. Size is about 1.2" x 1.7". Has 5 pins on bottom of board. New, but we have no other info -PC board as shown only.